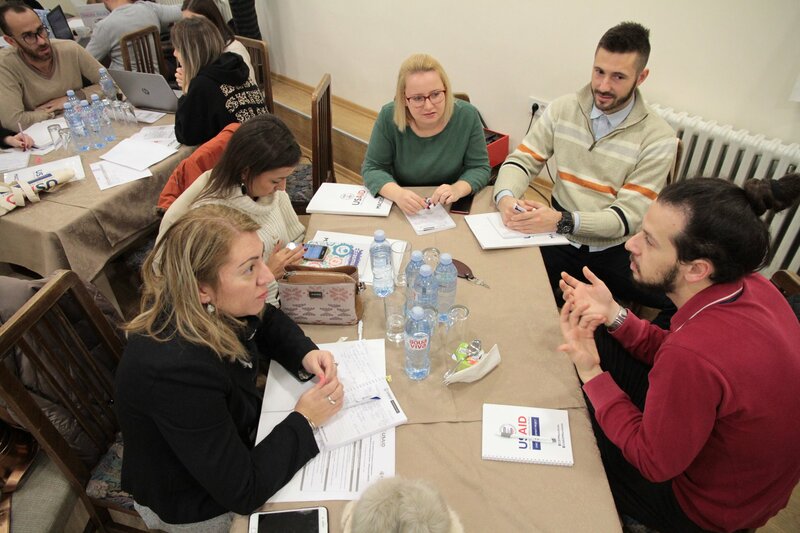 Successful cooperation so far in many municipalities, successful meetings and strengthened Network were part of the shared and achieved results of the past year, with which the second training for capacity building and the creation of the Youth Banks Network in Macedonia was opened. 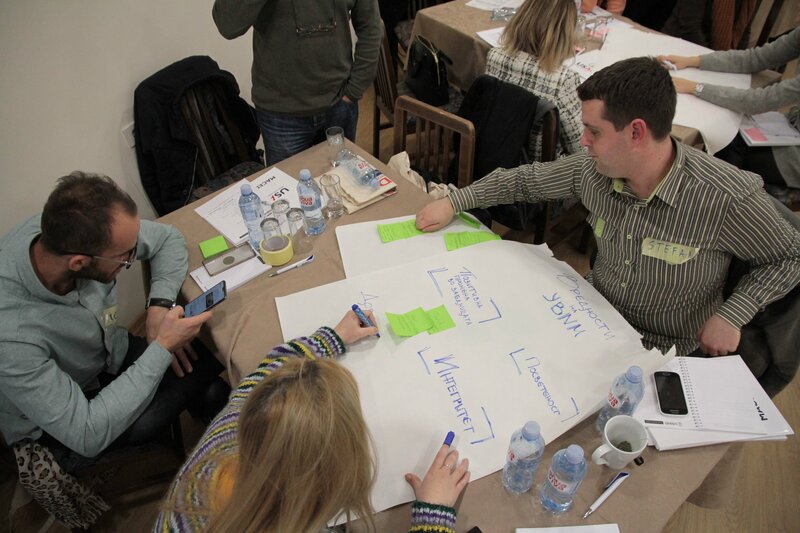 At the very beginning, the participants shared their further expectations from the Youth Banks Network and what the Youth Banks model would mean for their organizations. The participants also discussed youth inclusion, they worked on what was needed to establish a Board of Youth Banks and its function. Part of the sessions were dedicated to advocacy, building partnerships, as well as the connection between the Youth Banks model and social entrepreneurship. 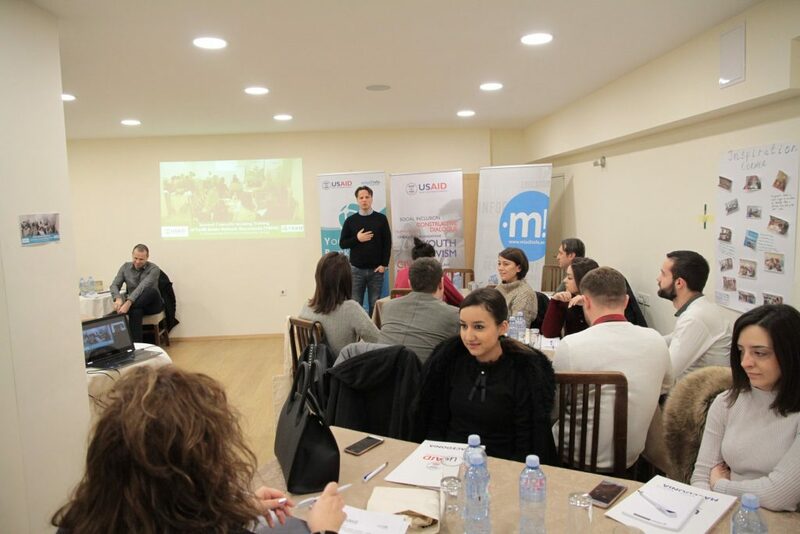 At the second training held in the Hotel Ambassador, Skopje, from 17th to 19th December 2018, representatives from the municipalities Gazi Baba, Kisela Voda, Novaci, Bogovinje, Krivogashtani attended, together with the representatives of the organizations members of the Youth Banks Network Mladiinfo, CEFE Macedonia – ЦЕФЕ Македонија, Innova Lab Bitola, Волонтерски Центар Скопје, Youth Alliance, PORAKA NOVA, Youth Can – Младите Можат, Youth Empowerment Platform – YEP, Youth Council Prilep -Младински Совет Прилеп, Здружение на граѓани ИНТЕРКУЛТУРА, Multikultura, Здружение за мултикултурна интеграција Инклузија -Inclusion. 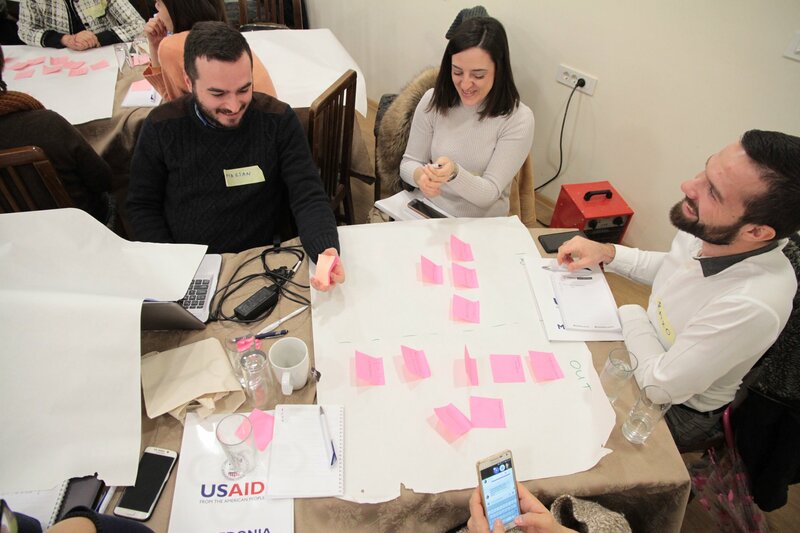 The aim of this training was to strengthen the capacities of the whole Network, to make the stakeholders aware of the process of fundraising, as well as to identify the processes, steps, and the tasks that arise within the introduction of the Youth Banks model. Positive change for the community, dedication, trust, respect, mutual support from all members and stakeholders, participation and equality were part of the most important values of the Youth Banks Network that the participants identified as such. At the beginning of next year it is foreseen a mentor to be engaged who will work with the entire Network for capacity building, another plenary assembly of the YB Network and 3 panel discussions.